Q: We are 37 and 41 years old, and we both work. We have company retirement accounts, which live in our home mortgage-free, which is worth about $200,000. We own a beach condo, which is valued at $315,000 and we owe $160,000 on the mortgage. We also have another condo worth $225,000, and our mortgage is $142,000. The beach condo will be paid for in less than ten years, which is before our oldest goes to college. The rental income is $12,000 per year and rises annually. The area is very popular with renters coming from Pennsylvania, New Jersey, and the Washington, D.C. area. The other condo will be paid for in 14 years, which is when our second child will go to college. The rental income is also $12,000 per year, but has remained the same the past few years. I am planning on the rental income paying for the college tuition. My husband would like to save for college in a more traditional way. Instead of paying the mortgage payments, he feels we could invest the money in the stock market, bonds and CDs. We would like to purchase a home at the beach, but the prices are rising faster than our income. Some home prices in the area have doubled in less than five years. Do you think we are saving correctly for our own retirement and for our children’s college education? A: Congratulations on building up such a sizeable range of assets in such a short period of time. Although I don’t know all the details, it seems as though you have mapped out a workable strategy for paying for college. Remember, that college only last four years, so if you have two children, that’s about eight years of payments. By then, the homes will be paid off and after you’re done with tuition, the income from these homes will be yours free and clear. 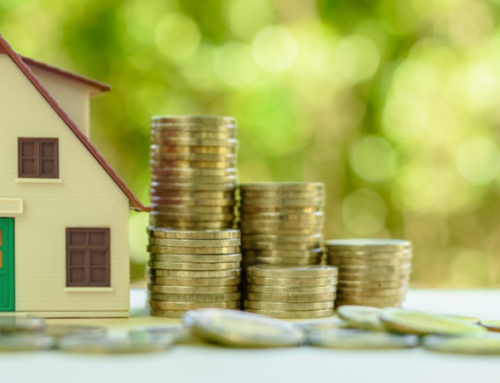 You can use that income to supplement your working income, invest it for retirement, or use it to fund the purchase of yet another beach house, perhaps one that you will use for retirement. While many people think that stocks and bonds are the way to invest for retirement, it’s good to diversify. Your company-sponsored retirement plans will give you access to the stock market. Be sure to max out these options, as this cash grows tax-free until your retirement. However, cash flow is just as important, or more so, when you retire. In the next decade, you can assess where it is you might like to retire and how much money you’ll need to live there. When you’re ready to make a move, you can sell your current home and use the equity to purchase a beach home, or take out a home equity loan for the down payment on a third beach house that can be rented until you’re ready to use it full-time. I’m a little concerned that your husband seems opposed to a strategy that is clearly working. Is he tired of being a landlord? How well do you and your husband handle the work associated with rentals? This is a different issue altogether, one that has to do more with lifestyle than with money. You should sit down and discuss how each of you sees these investments, the return you’re enjoying on them, and how much work they take. If managing two or three homes is difficult while both of you are working full-time, consider selling the home that is appreciating the least quickly, and investing that cash in a mutual fund, index fund or stocks. You might also want to sit down with someone who can help you and your husband assess the big picture and look at all of the details involved with your personal finances. It’s possible that you could be maximizing your real estate return by refinancing your mortgages. Or, perhaps you could be saving cash elsewhere. Spending a few hours of time with a respected fee-only financial planner in your area is a good start.